Tiffin Carrier Antic/que's! : The Mango Showers of May: George Washington's Uppumanga! The Mango Showers of May: George Washington's Uppumanga! Tiny tender green mangoes available in the Indian grocery stores from February. These are still available but would be slightly larger in size and would have developed a harder coat around its 'stone' /the mango seed. It was easier for George Washington to access Indian mangoes than hordes of 'yours truly's' from the sub-continent. However, GW got his mangoes pickled not blasted with radiation as it enters the US. Now, the claim that the Uppumanga traveled to grace the White House occupant's table is speculation. We do not know what avatar graced one of the important dining spots in the newly independent America. Historical trade routes and sources of mangoes would point towards the western coastal region of India. The mangoes might have come from anywhere from the coast of Gujarat, Rajasthan, Maharashtra, Karnataka or Kerala. Why Kerala? Why not Goa and/or the Konkan or any of the above? When George Washington imported 'pickled mangoes' from India, the south-western coast was under the influence of the Portuguese. They had officially 'discovered' the trade route to access the Black Gold of Malabar and displaced the longtime Arab traders. 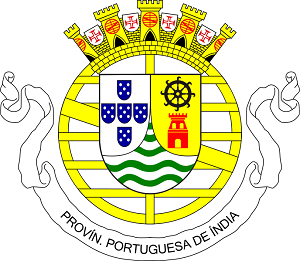 By the 1700s the Portuguese had to contend with the growing British presence in India. The Portuguese had also introduced red chilli peppers in the subcontinent, thereby influencing the diverse cuisine of a sub-continent forever. Goan cuisine is heavily influenced by the use of spices introduced by the Portuguese. So why not the fiery hot pickles from this region? Perhaps, it is more likely that when mangoes were introduced to America from India, they were pickled in brine to survive the long voyage. Had red chilli peppers gained wide-spread usage in Indian cuisine? Mangoes-in-brine might have been more amenable to the American palate than those pickled in red chilli spicing. Again, it might well go either way! on view until August 11, 2012. Several books focusing on the first couple's hospitality and dining habits have been published. However this exhibition provides a more extensive view into the sources and access to ingredients, the Washington's had during the 1700s. The Washingtons imported most of their beverages, spices and condiments from Asia, the Mediterranean and the West Indies. Among them, a pipe of wine ( approximately 126 gallons), 25 pounds of tea, a bushel of almonds (roughly 50 pounds) and ....a pound of cayenne pepper!!!! What did they use this cayenne pepper for? One would really like to know ! While this throws a ladle into the line of pickled-speculation, in the best interests of the story told here, we will draw a briny line towards the Malabar coast. So if the mangoes were pickled, chances are they would have been the older method of pickling that has existed in the Malabar coast, mangoes in brine =Uppumanga. But then, I am partial as a Malayali! Now, how many ambitious Malayalee's or for that matter, proud Indian American's can claim that degree of closeness to an American President, past-or present, living or no more?!! :-D! Pour the cooled water until it covers the mangoes. Keep in a cool, dark place for 2 weeks. Use as needed with clean, dry spoons. I didn't know that our uppumanga already visited white house. Nice Article Shri. Brings lot of nostalgic memories. Wow..very delicious,love the yummy tangy flavor!! Thanx for linking it to the event,Awesome clicks too!! Thankyou Swathi, Julie and Akeela. We make that plain lemon pickle also; am interested in that pepper curry you mentioned. Have you posted that recipe? Awesome post, love the yummy tangy uppumanga. I cannot tell a lie.. I love the Indian mango pickle - do you think that is what GW said!. The pickled mango looks super! :-D! Radha, it might well be! I am curious about the cayenne pepper though. What did they use it for? Thanks Spice up the Curry. Tes images sont magnifiques. Bravo!! J'aime beaucoup. Interesting story and awesome clicks..
You are a seasoned photographer. 1st time here.. I was completely wowed at your black & white photograph!!! Amazing clicks!! And I love the recipe. Can't wait to try it out! Your pictures are stunning! I would love to try mango pickle! Hi Shri! I enjoyed your post, and you take such a beautiful photography! Great photography!!! A great read and those mangoes look so tangy. What an interesting read, and your photographs are so beautiful! Now I'm in the mood for mango! U have a beautiful space here...first time here, happily following u ..Nice post and lovely clicks. woww...superb clicks.. got the feel that i saw it through my eyes. I'm so glad you left a comment on my blog... enjoyed reading the post... i had no idea uppumanga was so famous. I love your pictures... they are just awesome... I mean I kept scrolling back up coz I can't take my eveyes of them... Too good! Merci Shri de ton passage. Je te souhaite un bon weekend.